Are stained cushions detracting from the look of your sofa? Is your favorite chair looking less than its best because of wear and tear on the cushions? 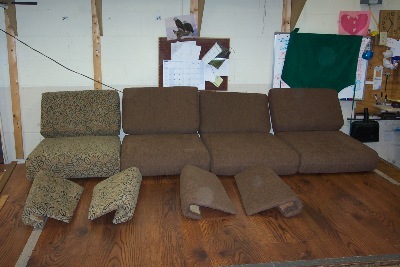 Tired of feeling the springs of your sofa through those old cushions that have lost their shape and support? 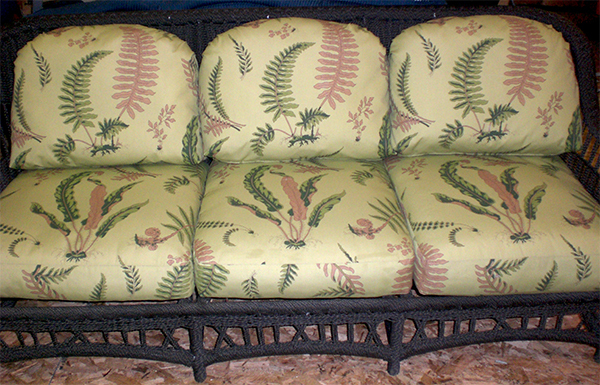 Let MBU Interiors give your furniture new life with our custom made replacement cushions! A new set of cushions can greatly improve the appearance and level of comfort of any furnishing, and at MBU Interiors, we use only the finest of materials to ensure that you receive replacement cushions of exceptional quality. If rips, tears, wear or staining are your biggest concerns, we can reupholster your cushions with brand new fabric, top grain leather, vinyl or faux leather fabric, or we can replace the existing fabric on your cushions to give them a brand new look. For cushions that have lost their shape or are no longer supportive and comfortable, we can replace both the foam padding and the upholstery. At MBU Interiors, we offer competitive prices on replacement cushions that spare you the expense of having to purchase brand new furniture simply because the cushions are out of style or showing signs of aging. To get a free quote, call or email us today with the dimensions of your cushions. We’ll put together a quote fast, so you can get on your way to enjoying a brand new set of cushions to improve the look and feel of your furniture. Replacement cushions for “This End Up” Furniture. Remember them?